Application Load Balancer (ALB) now supports request routing based on HTTP headers, methods, query parameters and source IP CIDRs. Network Load Balancer (NLB) now support TLS termination. NLB is now able to terminate TLS traffic and set up connections with your targets either over TCP or TLS protocol. 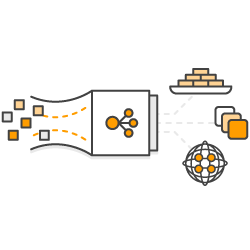 Application Load Balancer (ALB) now can trigger AWS Lambda functions for HTTP(S) requests. You can now secure your users requests and application data, eliminate backend server configuration and simplify deployment complexity. With “fixed-response” as an action in the content-based routing rules of Application Load Balancer, you now have more control on serving the client-requests. Application Load Balancer now supports Authentication. Use your own OIDC, Amazon Cognito, Login with Amazon, Facebook or Google authentication. SNI is an extension to the TLS protocol that enables use of multiple SSL certificates on the same IP and port.